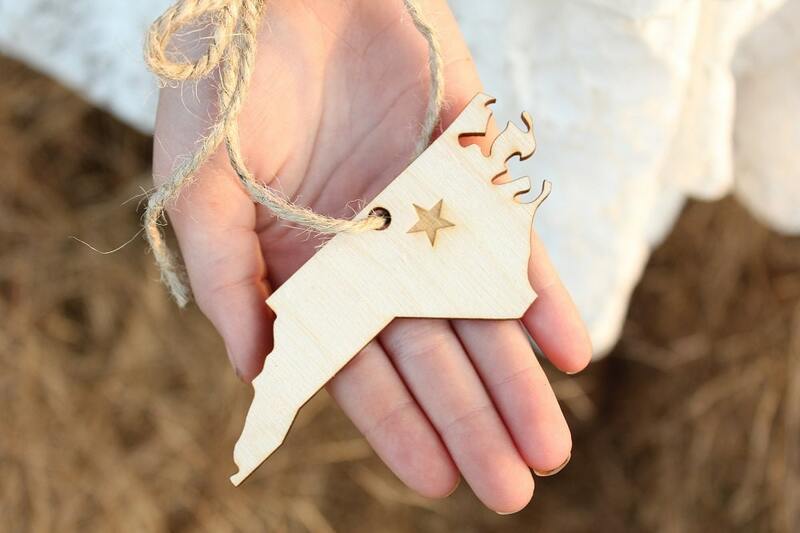 Wood laser cut and engraved ornament with jute twine hanger. 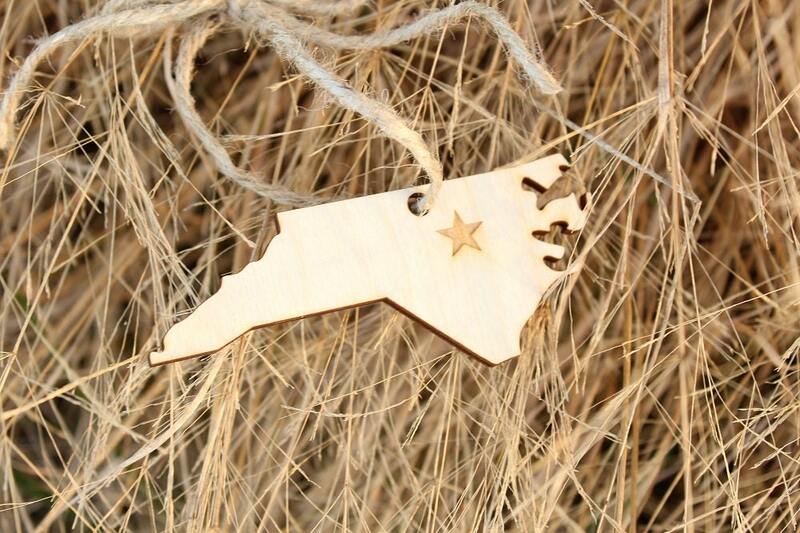 A star has been laser engraved 'approximately' where the capital Raleigh is located. Ornament measures: 4" wide x 1.5" high. Shipping was a little slow, but I love this ornament. Can’t wait to display next year! Thank you! Nice piece. I plan on on using these for gifts. A little thinner than I had expected. perfect and affordable! arrived quickly! Had the pleasure of visiting NC in 2017 with my best friend and daughter. 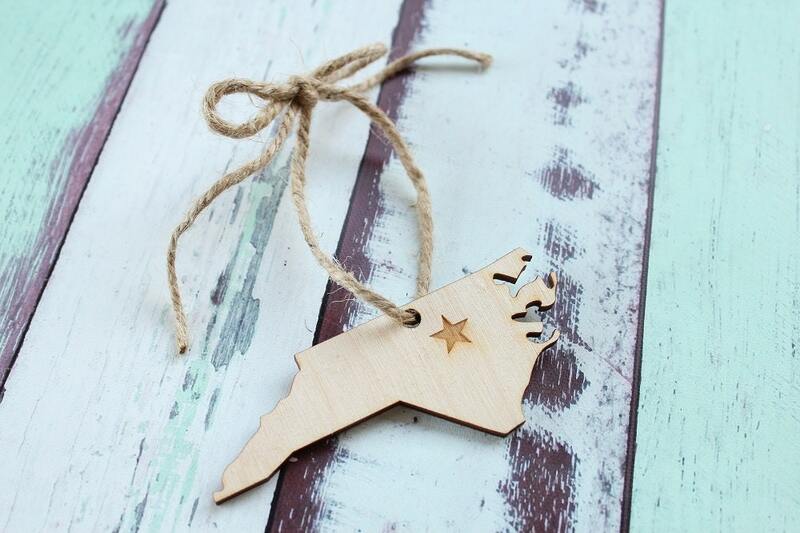 Bought 2 of these ornaments as little reminders of the amazing trip we had. 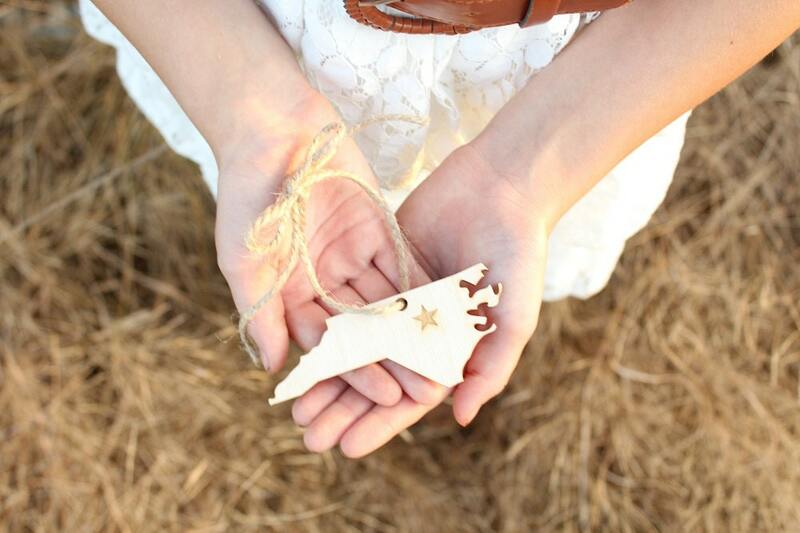 Super cute keepsakes. Asked the shop owner to customize them for me and she did without hesitation. Quick response. Package arrived in a timely manner. Recommended. I’ll be ordering again after our second annual New State Vacation. 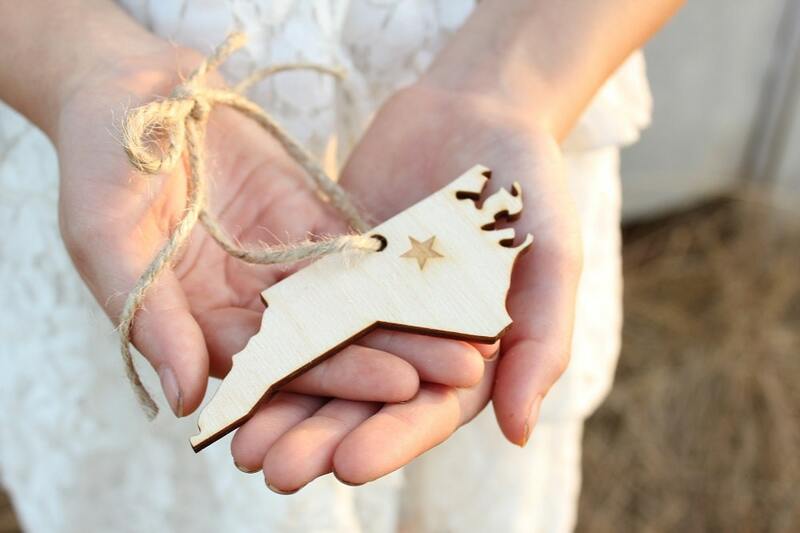 Perfect gift for my new pharmacy school friends who just moved to NC for school. Hoping this ornament will remind them of all of the fabulous memories we will make together. Thank you so much for the speedy delivery! Amazing quality! You're the best!